Being a spiritual healer is considered a divine gift in many cultures. Some people believe that this gift is passed down from generation to generation. Just like DNA is passed down from generation to generation and slightly changed by each individual’s choices, our spirit can be highly developed by some of our ancestors and the gifts they have acquired might be passed down to us. However, it’s not necessarily something you inherit. Sometimes an event, a trauma or a special activity can unlock the healing potential of someone’s spirit. If you’re a healer, chances are there are signs, signals, and cues all around you. The key is knowing where to look. You don’t need to know a medium or see an intuitive reader of any kind to know that you have a healing gift. All you need to do is look at your own life. Here is a list of 29 signs that tell if you were born to be a spiritual healer. Some may surprise you! Of course it doesn’t mean that if you experience 1 or 2 of these that you must be a spiritual healer. However, if this strangely resonates with you, if you experience a couple or most of these signs, it is a sure indication of your spiritual gift! 1. You feel extreme empathy, often feeling emotions and experiences as physical sensations of pain and hurt. 2. You’re often told it’s soothing to be around you. 3. Those around you rarely get sick. 4. You have now or have ever been diagnosed with anxiety or panic disorders. 5. You have now or have ever been diagnosed with any mood disorder. 6. You think of solutions for others to make their lives better. 7. You have a strong desire to help others, even at a loss of your own resources or needs. 8. You’re already in a traditional healing field – medical workers, massage therapists, chiropractors, guidance counselors, physical therapists, veterinarians or vet techs, and more. 9. You have a history of healers in your family. Your parents, siblings, grandparents, great-grandparents, etc. are or were engaged in healing based professions – medical, touch, spoken, or otherwise. 10. You frequently experience heightened awareness in public places – difficulty breathing or nervous butterflies. 11. You walk into a room and can immediately tell if there’s been a fight or a disagreement before you arrived. 12. You’re the person people turn to for comfort, problem solving, and kind words during difficult times. . . and you always help. 13. You find yourself feeling like problems of others are dumped on you for fixing. 14. You’re frequently drained at the end of the day, especially on days involving large amounts of social interacting. 15. You’ve noticed that you have special touch with animals. 17. Complete strangers spill their life stories to you without asking. 18. People ask you for back and shoulder rubs, or back scratches and you’re known for being good at them. 19. You like to ensure people feel comfortable when they’re visiting your home or space. 20. You often feel overwhelmed with the amount of things you’ve agreed to help others with. 21. You regularly experience shoulder and neck pain. 22. Your friends and coworkers often come to you for your trusted opinion on potential romantic prospects or new job hires. 23. Your preferred method of exercise is based in the outdoors – going on a walk, a jog, or doing yoga in nature while breathing fresh air is both stimulating and relaxing to you. 24. You have an interest in Spiritual based healing methods – energy healing, reiki, shamanism, or otherwise. 25. 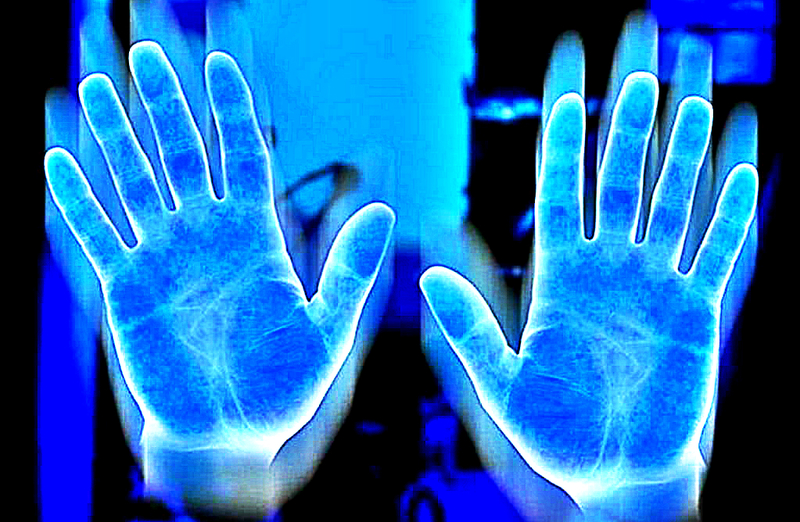 Your hands and palms often feel tingly – pins and needles, buzzing, throbbing, vibrating, or pulsating. 26. You’re attracted to crystals for their beauty and potential healing properties. 27. You seek natural based healing methods, as alternatives to westernized medicine. 28. You experience frequent headaches or digestive issues. 29. You’re reading this list right now.